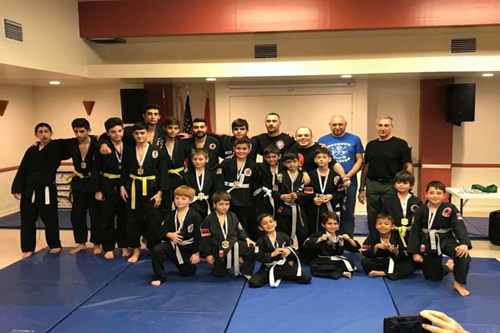 President - Hayk Harutyunyan in U.S.A.
President of Haik and Bel Martial Arts Club in the USA. AE in Computer Engineering. BA in UHF Physics. BJJ purple belt coach under Jason Bukick Judo broun belt - San Diego Judo club. Black Belt 1th degree - Tai Nui Kung Fu. Black Belt 4the degree Sifu - Tai Nui Jitsu. Sanda,Muay Thai instructor. 21 years coaching experience.